From now through the month of April, Patriotic Dissent Books is running a free book promotion. 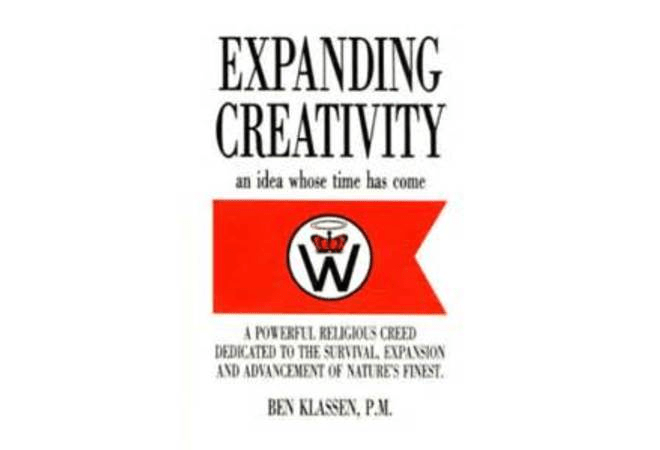 Spend $60.00 or more (s/h included) and you will receive a free copy of Expanding Creativity: An Idea Whose Time Has Come by Ben Klassen. While supplies last (in the event that this book becomes out of stock, a replacement book of equal value will be provided). atheists, we are Creators," "An analysis of Hitler's advice," "Manual for ordained ministers," "Lessons from Egypt," "The Fine Art of Decision Making," and many more. Place an order with Patriotic Dissent Books today and get your free copy of this wonderful book as our gift to you (orders of $60.00 or more; s/h included).